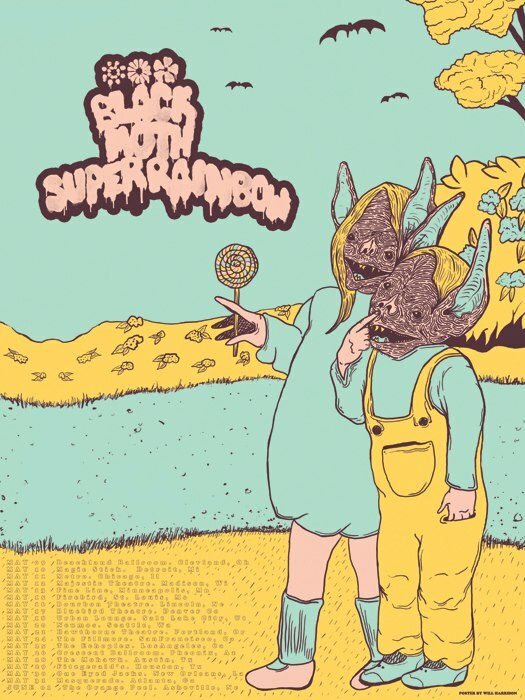 Despite what the lack of posts on this site will have you infer, I actually have a great appreciation and love for the music that Black Moth Super Rainbow make, and how they managed to push psychedelic music into the new decade, twisting and melding it with electronica and darker imagery then was ever part of the genre in the first place. They just came to Austin in November for Fun Fun Fun Fest, but are already returning to play The Mohawk tomorrow on March 28. They will be bring The Hood Internet and Oscillator Bug in tow with them, as if the night wasn't already a feat of twisted experimentation already. The show is sure to be a great one, so grab tickets to the show while you can.